Sandy Springs Police continue to investigate the vandalism of several vehicles and mailboxes around Dalrymple and Brandon Mill roads in north Sandy Springs. The morning of April 24, several cars were spray painted with obscenities and derogatory phrases, police said. 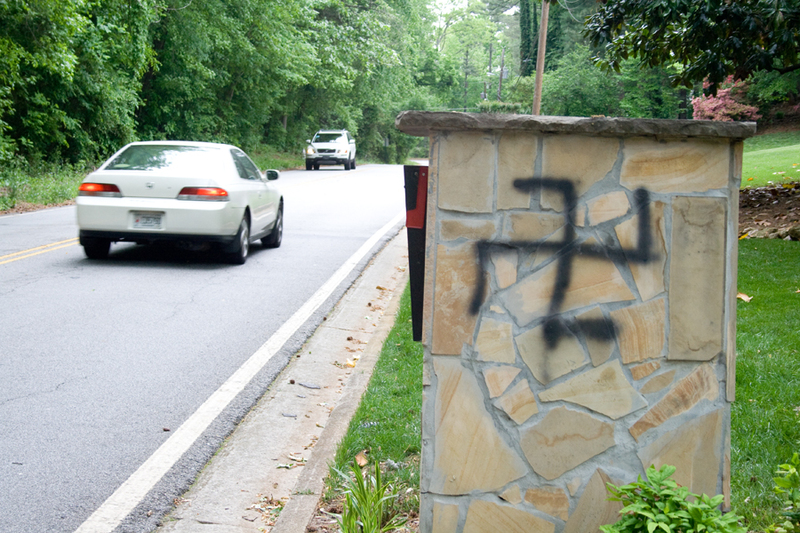 Two mailboxes were spray painted with swastikas. Anyone with information should contact Detective Matt McGinnis at (770) 551-6949 or call the police tip line at (770) 551-3300.